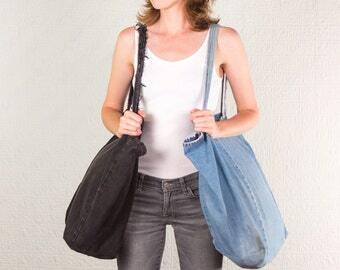 The perfect bag made from recycled vintage hand-picked jeans. Use it all day, everyday. 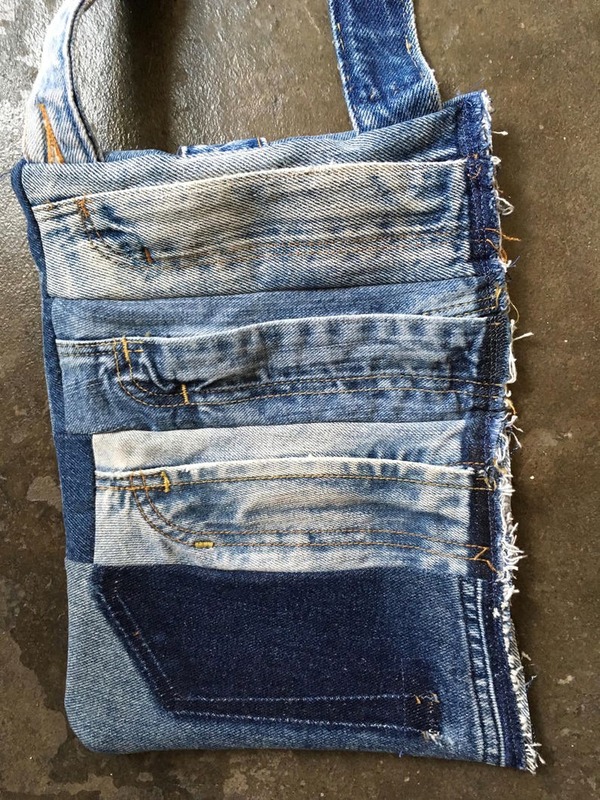 Three different size zipper pockets, a back pocket for your cell phone, a slot in the back for your ipad and a durable strap made from a deconstructed jean waistband. Size may vary slightly. 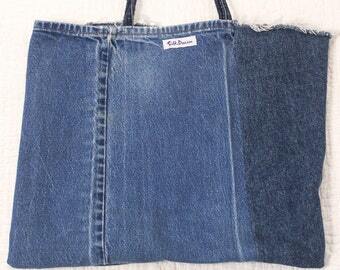 Made to order from recycled vintage jeans. All items are unique and vary. The photos shown here are just examples. Feel free to contact us with questions, preferences, or special requests. 9 1/2” W X 11 1/2”H; 40” Strap; 17” drop from shoulder; first pocket is 5” deep; second Pocket 8 ½” deep. Back slot for your Ipad is 9" X 11". This size can me customize to fit your specific device. 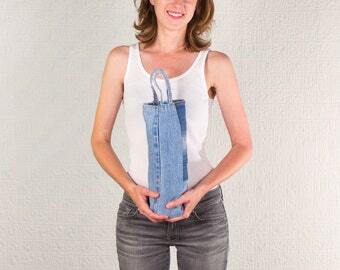 Cross Body (Hands-Free) Bottle Bag / Small Purse Made from Recycled Jeans. Bag is Unique and very roomy just how I like! It's super trendy and a timeless bag. Super fast shipping. Thank you. Super cool - thanks very much for quick ship! Great shrug! Returns are accepted for credit or exchange only. We are happy to exchange any unworn, unwashed merchandise within 14 days of receipt of your order. The customer must be pre-authorized prior to sending any items back for a return. The buyer is responsible for any return shipping cost. If fitting is an issue, contact us with details - perhaps we can fix it. Items totaling over $50 shipping to the U.S. have free shipping. We will ship worldwide. Contact us for a quote for your specific order.